Now first I must confess that I'm familiar with this show. 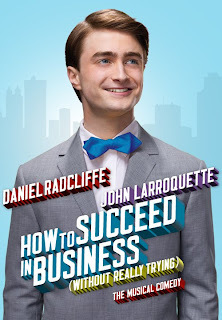 But the charm that Daniel Radcliffe brought to this role was really top notch. He danced & sang like a Broadway pro. John LarRoquette was really great as well and chewed the scenery from square one. The voice of the book was read by America's favorite closet case (no not Ricky Martin) Anderson Cooper. The story is a glossy, sugary story of a window washer's rise through the ranks of a big New York company. Great production numbers and one of the most unique takes on the show was "Grand Old Ivy" number that was turned into a men's chorus showstopper. I can't tell you how many times the audience roared with applause during this show. But I do promise you'll walk out pleased that you saw it. 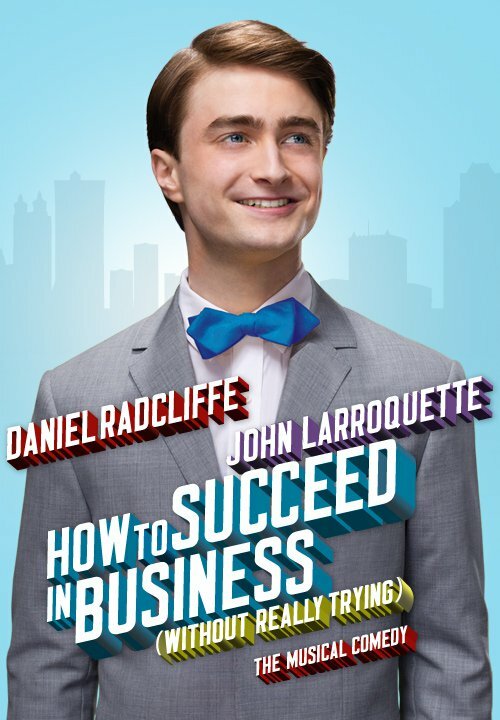 I love fluffy shows and this one is the fluffiest on Broadway right now. Should you see it? Yes, you should - but I'm pretty sure you'll have a really tough time getting tickets. Good luck!